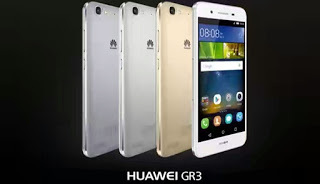 The latest new Huawei GR3 smart device is just a midrange mobile device when you talk of it's specifications and features. The device came with nice add up which so many should like, and some of they add up include 2GB RAM, has 4G LTE and as well 13MP primary camera. Although The battery capacity is not encouraging, hope Huawei they should improve on that aspect. What do you think of this device concerning the tagged price? Do you think it worth it?